View cart “EDM12 Stamping Plate” has been added to your cart. 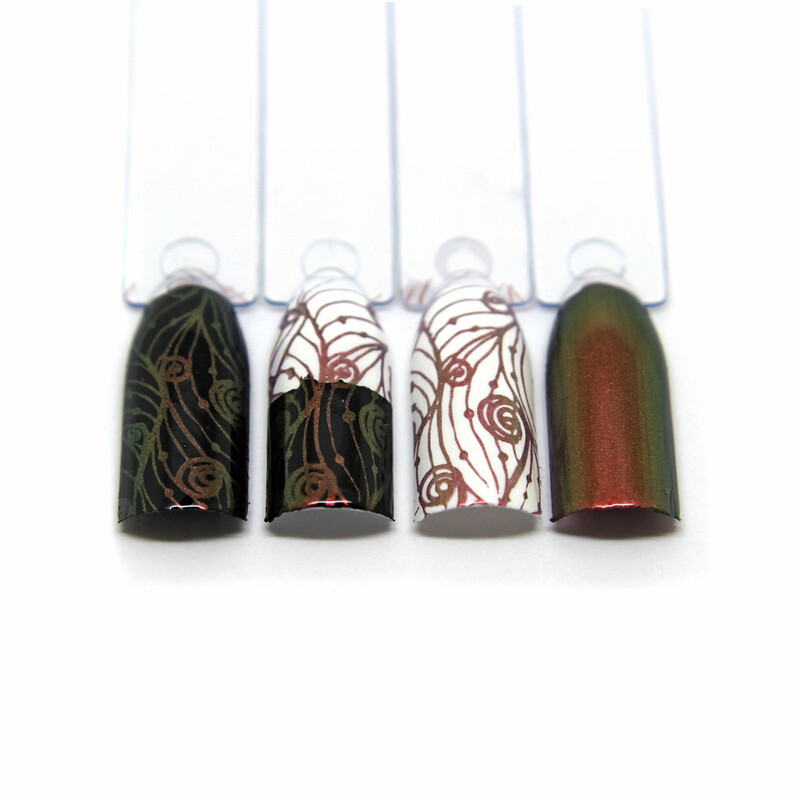 This stamping polish is a 5 free hand-blended, custom nail stamping polish. 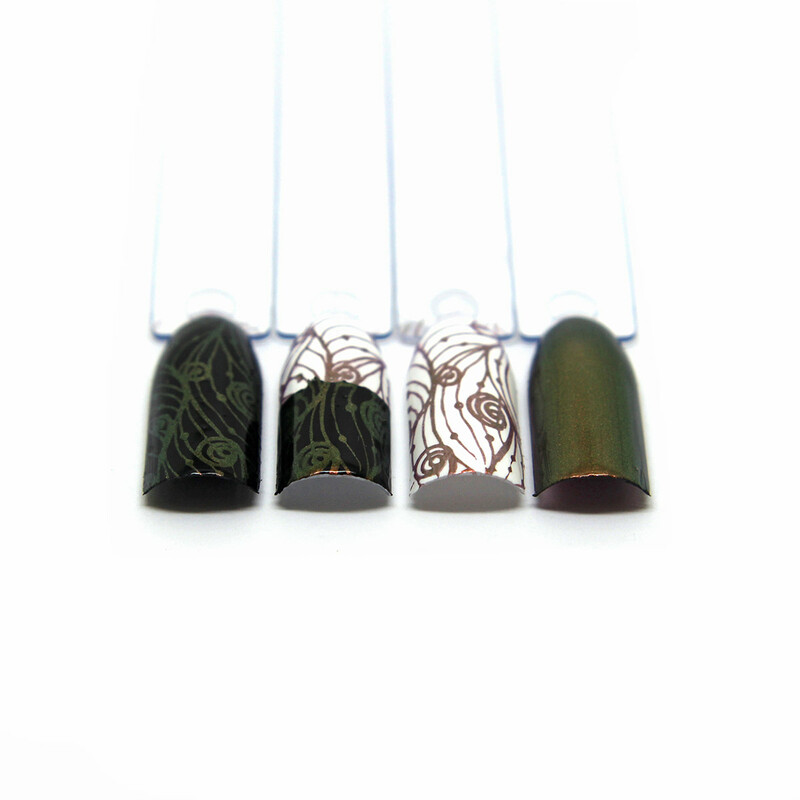 My stamping polishes are made with a thicker base than my regular polishes, this allows for a slightly slower dry time. This still dries fairly quickly but is very easy to work with. 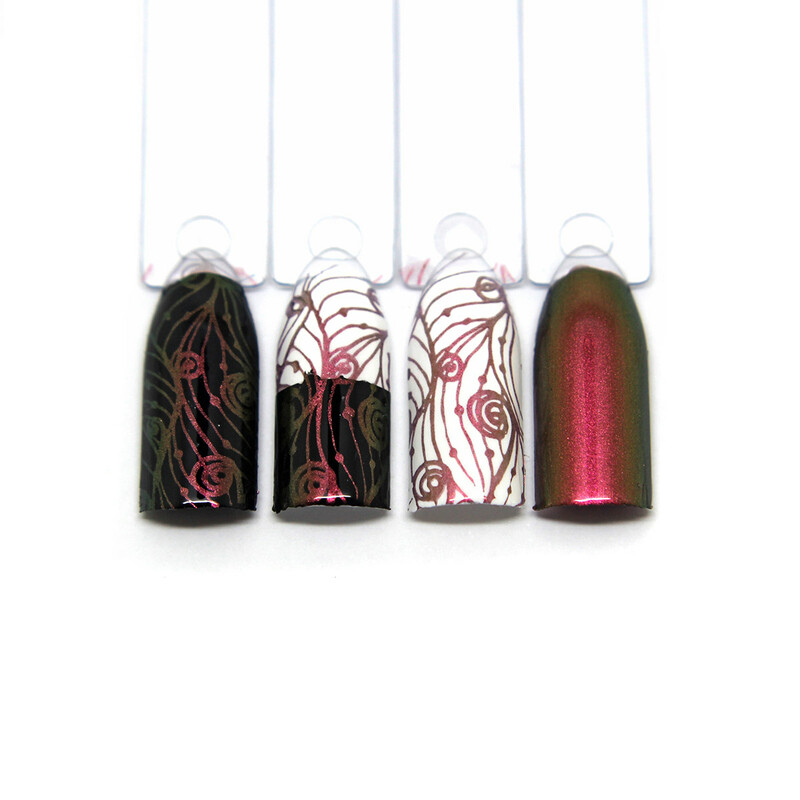 These particular stamping colours are fine to wear as regular polish. BASE COLOUR -This colour shifts from pink to copper to green on extreme angles. OPAQUE OVER DARK COLOURS ?– Yes, these multi chromes work best over dark colours. The colour shifts can be lost over lighter colours.